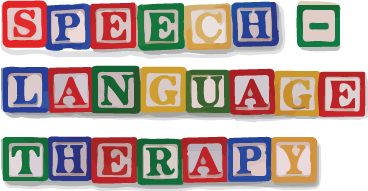 St Mary’s works in close partnership with the Speech and Language Therapy Service provided by Kent Community Health NHS Foundation Trust to deliver Universal, Targeted and Focused support for our pupils. All staff are trained so that universal strategies can be applied as part of quality first teaching. The SABDEN Multi Academy Trust employs an Integrated Therapy Assistant to work a day a week at St Mary’s so that pupils can access targeted support both within the classroom and, if necessary, by withdrawal – according to baseline assessment. 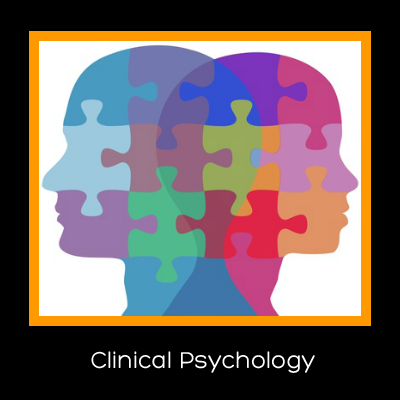 Finally, the school has access to a peripatetic Speech and Language Therapist who carries out a range of interventions based on the needs identified within an individual’s EHC Plan. 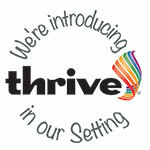 St Mary’s are currently introducing Thrive into our setting and are looking to embrace the approach in the near future. The school currently has one trained, licensed practitioner with a further two professionals currently undergoing training (Apr 17). Thrive uses current brain development theory alongside attachment theory to systematically assess individuals in terms of their emotional development and resilience. The online Thrive assessment tool helps to identify at which stage of development an individual has been ‘interrupted’ at and seeks to build specific activities and targets to improve an individual’s stress regulation (coping) mechanisms at that stage. Most of the activities could be seen to be akin to ‘play’ or ‘creative’ type therapies. St Mary’s employs a local Systemic Psychotherapist on a once a week basis to work individually with referred pupils to support them with their mental health needs. This therapeutic intervention may be required (amongst many others) to help them become more reflective about behaviours that may be regarded as socially unacceptable(eg anger and abuse), to deal with specific life events that have caused an individual to struggle with / withdraw from the demands of school life (eg trauma, abuse, depression, anxiety, bereavement etc) or to work alongside an individual and their family in order to improve or change repetitive behaviours that were previously negative or harmful to progress or possible positive outcomes. Our newest therapeutic intervention. Our trained school counsellor offers person-centred counselling working with referred pupils on a 1:1 basis. Pupil clients are able to use this private and uninterrupted therapeutic space to talk through and explore any issues they wish, and use the time to reflect upon and explore their deeper feelings. Sometimes creative therapy is used to enable this. Six sessions are offered initially after which there is a review. Our school counsellor works under qualified external supervision and within the BACP (British Association for Counselling and Psychotherapy) Ethical Framework. School counselling is subject to the whole school safeguarding policies and procedures. The Speech and Language Therapy Service have trained a select few staff to deliver this aspect of universal support at St Mary’s. Lego Therapy is an intervention aimed at improving social communication for a group of students. The shared goal of building a specific Lego model according to the specific and ordered instructions provides the motivation for the group to succeed. Each group member is assigned a role (eg architect, supplier, builder, quality control etc) for the duration of a session (although roles may be swapped within a session) and stay within the role to either give or receive instructions as part of the team as the building process progresses. Use of precise descriptive language to identify both the correct piece and how it should be laid help to improve expressive and receptive language as well as problem building skills and co-operation. Following some practical ‘on the job’ training (delivered by the Occupational Therapy Service provided by Kent Community Health NHS Foundation Trust) some staff can now themselves deliver this intervention. Sensory Circuits is a term used to explain how the brain needs to constantly assess and organise information being received via an individual’s sensory system; sight, hearing, touch, taste, smell, proprioception (internal feedback) and vestibular system (balance or relationship with gravity). How the brain organises this wealth of information (ie in a calm, orderly way or in a more chaotic, random manner) obviously has an impact on one’s capacity to be ready to learn. Physical activities to alert, organise or calm the brain are devised by staff and rehearsed by pupils in order to support this crucial aspect.